Japan restarted one of its nuclear reactors on Sunday for the first time since shutting down all the country’s reactors in the wake of the Fukushima Daiichi nuclear disaster. 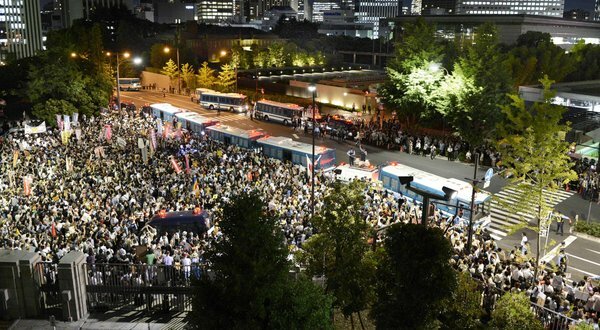 The critical decision made by Prime Minister Noda has drawn unusually vocal public opposition in normally compliant Japan, and created a deep division in public opinion. 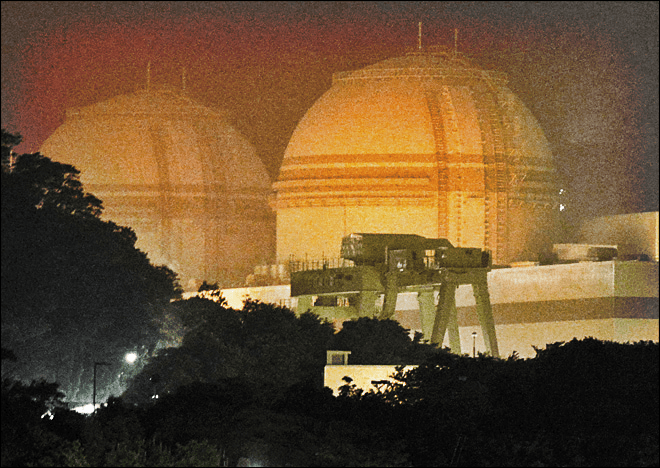 The Unit 3 reactor operated by the Kansai Electric Power Company reached so-called criticality at 6 a.m. Monday morning, after the operation was resumed at 9 p.m. Sunday night. The plant is scheduled to generate electricity as early as July 4. The utility intends to restart the 1,180-megawatt No. 4 reactor at the plant as early as July 17. Despite having been slated for restart, the two reactors at the Ohi nuclear plant find themselves once again under intense scrutiny, as seismologists warn that Japan’s nuclear regulator has not replicated accurate seismic modeling for the plants. 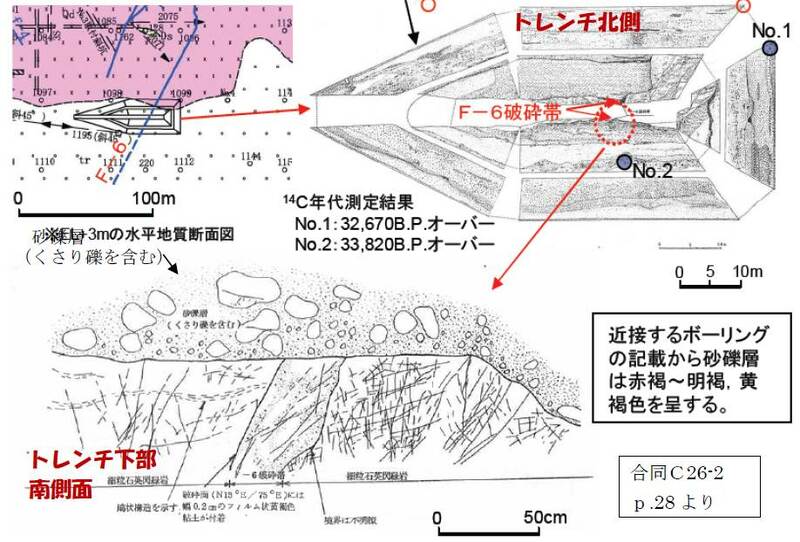 Meanwhile, “new findings” were presented by Mitsuhisa Watanabe, a tectonic geomorphology professor from Tokyo University, at a press conference on June 28th where he warned that the central government had not taken all possible fault data into consideration, and shared concerns about is the presence of a shattered zone called “F6” which runs underground between Units 2 and 3 of the Ohi Nuclear Power Plant. 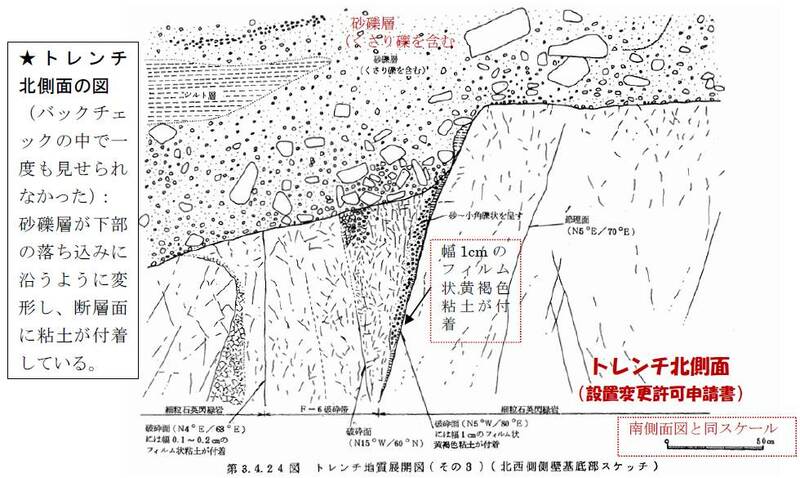 There is evidence that infers the bedrock and the upper layer of earth around the F-6 fault line shifted at the same time, and the Tokyo professor considers this to be a “classic active fault structure, though KEPCO does not agree. 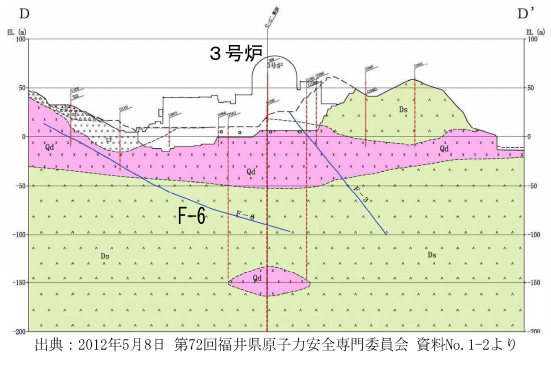 KEPCO and nuclear safety regulators have shown some data pertinent to the southern side profile of the fault line, but they have not disclosed information related the north side profile of the fault line, which is where experts think may indicate the possibility of active fault lines. Moreover, the F-6 fault line crosses the one of the very important facility emergency cooling water lines. 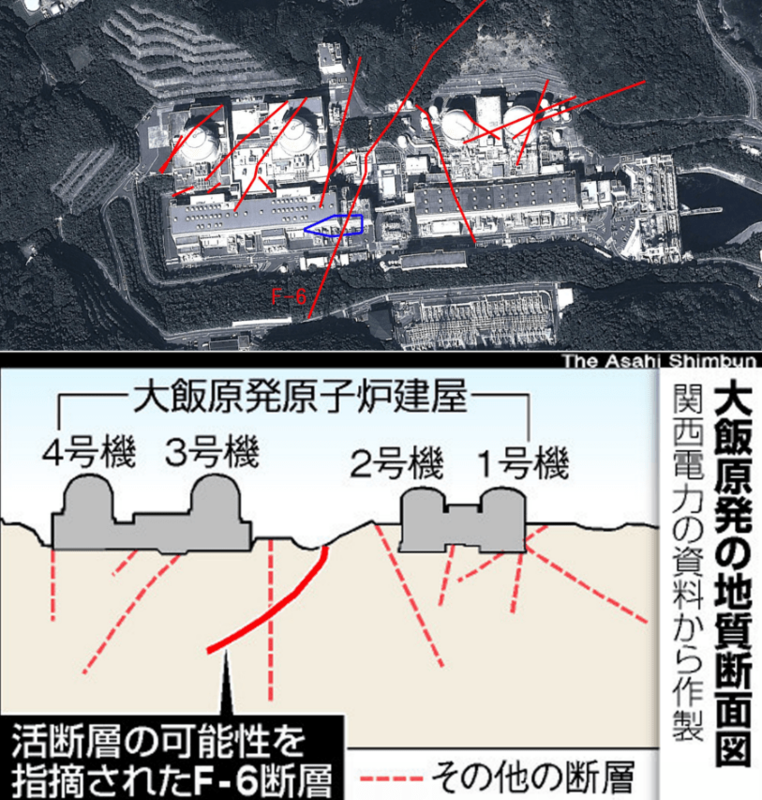 If this fault line moves, they will not able to cool the reactor on emergency. Southern side trench picture which was indicated before at the governments commissions before F-6 disclosure. Chief Researcher Yuichi Sugiyama of the National Institute of Advanced Industrial Science and Technology (AIST) who is also a committee member of NISA’s Expert Committee admitted that, “The government’s Safety Examination [the government examination undertaken during the licensing procedure for the Ohi site] was not able to investigate all of the operator’s [Kansai Electric’s] inspection data. Some congressmen and citizens visited the Ohi plant on June 27th for an onsite inspection. It only takes few days to check the possibility of active fault lines ( F-6), and they found out there are 3 places where easily they can test the soil under the asphalt road. Trade Minister Yukio Edano did not share the same sentiment in a press conference on June 29th. He said despite the recognition of the new findings, at the moment, they do not affect the plans for restart. Editors Note: Many thanks to Kishiko Suzuki, who spent personal time and effort to provide most of the translations from Japanese to English for me, I am very grateful.